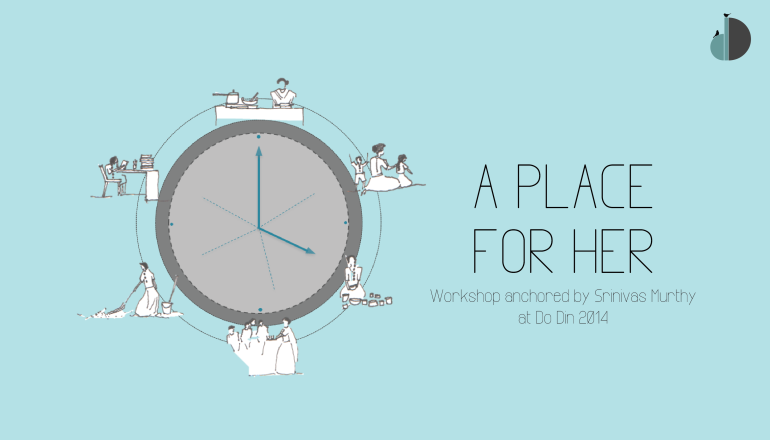 Do Din 2014 will be hosting a workshop conducted by Srinivas Murthy. The aim of this workshop is to engage with women from different parts of the city and from different social situations, to think through the obstacles presented by their particular situations and locations and to think about designs for a possible public infrastructure or community infrastructure where women can seek recreation. A place for them.